The recent torrential rain and floods have been devastating to communities along the coast of Nigeria. The situation has become dire with the possibilities that diseases like diarrhoea, cholera could spread and other types of infections increasing. Medical research indicates that over the coming months a range of psychological and physical health issues will arise in these already devastated communities. Doctors generally advise people to maintain proper personal hygiene and drink clean water in this difficult situation as the odds of an epidemic has increased. The common cold is a viral infectious disease of the upper respiratory tract that primarily affects the nose. It is estimated that more than 40 million people get the common cold annually in Nigeria. During temperature fluctuations and the rainy season, colds are commonplace diseases. It normally lasts a few days and is not usually serious. However, they can lead to other infections, especially in children. 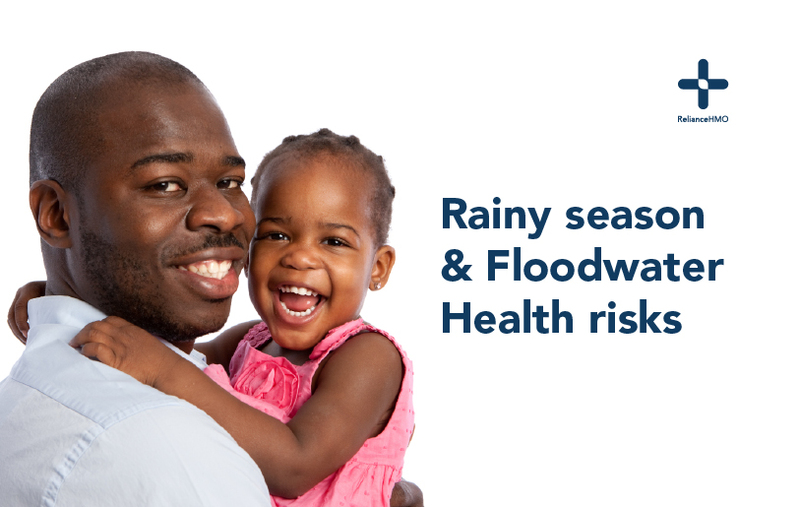 To prevent the Common Cold avoid getting drenched and ensure you are adequately dressed when it rains. Malaria is a major public health concern in Nigeria because hundreds of people still die from it every year. The common symptoms of malaria are fever, shivers, muscle pain and weakness. You can prevent malaria by using skin mosquito repellent, wearing long sleeves shirts and trousers, using bed-nets treated with insecticides and Indoor Residual Spraying. Diarrhoea is a symptom of an infection such as rotavirus, cholera, shigella (dysentery which manifests as blood in the watery faeces). It is caused by the consumption of food and water in unhygienic conditions. To prevent this bowel infection, ensure you maintain proper hygiene, drink only boiled water and wash your hands before handling food. The flu is a respiratory illness caused by influenza viruses, it occurs more during the rainy season. When not properly managed Influenza could result in pneumonia and cause such serious complications. You can avoid Flu this season if you stay away from crowded places, minimize body contacts, wash hands frequently and stay at least 1 meter from infected people. Cholera is another Rainy Season disease which is mainly spread through food and poor hygiene. It is an infection by the Vibrio cholerae bacteria. Symptoms of cholera infection may include Diarrhoea, dehydration, nausea, and vomiting. Cholera can be prevented by drinking clean water and maintain a proper hygiene.